"An Army without culture is dull witted army, and a dull witted army cannot defeat the enemy"
We have lot of discussions on strategic culture of a nation. How about Military Culture? Does military culture matters? Military culture includes four factors, which are: discipline; professional ethos; ceremony and etiquette and cohesion and esprit de corps. Historians have done little work on the subject of military culture, focusing for the most part on more immediate factors such as leadership, doctrine, or training to explain victory or defeat. Military culture represents the ethos and professional attributes, both in terms of experience and intellectual study, that contribute to a common core understanding of the nature of war within military organizations. Military culture is the linchpin that helps determine the ability to transform because it influences how innovation and change are dealt with. The ability to harness and integrate technological advances with complementary developments in doctrine, organization and tactics is dependent on the propensity of military culture to accept and experiment with new ideas. Military culture comprises the attitudes, values, goals, beliefs, and behaviors characteristic of the institution that are rooted in traditions, customs, and practices and influenced by leadership. As Michael Howard has suggested, no other profession is as demanding in physical or mental terms as the profession of arms. Military culture changes over time in response to changes in a society’s culture, the advance of technology and the impact of leadership. As one senior service officer has noted, military cultures are like great ocean liners or aircraft carriers: they require an enormous effort to change direction. In interwar period where militaries across Europe, Japan, and the United States faced budgetary constraints, rapid technological advances and unknown and ambiguous requirements. The ability of some militaries to transform while others were less successful was due to different cultures. Those that were receptive to honest self-assessment and intellectual rigor within open debate were able to overcome the inertia. The German military possessed a devotion to duty, a seriousness about tactics and a breathtaking contempt for logistics and intelligence in the two world wars. The reason why German military culture paid so little attention to logistics has much to do with geography. The Germans have always been at the center of military operations throughout the history of European warfare, and Prussia’s catastrophe at Jena/Auerstadt in October 1806—whereby a single day’s defeat resulted in the collapse of the state—exercised a baleful influence as late as May 1945. The military capabilities that enabled the Germans to win in 1940 resulted not from revolutionary changes occurring in the 1930s, but rather from fundamental changes in the German military’s organizational culture that had occurred during the early 1920s, when Hans von Seeckt, the first chief of staff and in 1920 commander in chief of the Reichswehr, altered the cultural patterns of the German officer corps as a whole. Faced with the task of reducing the German army’s officer corps from more than 20,000 officers to the limit set by the Treaty of Versailles, Seeckt turned the officer corps over to the control of the great general staff.17 By so doing he deselected important constituencies, namely the Junker aristocracy and Frontsoldaten. The effect was to infuse the whole army with the cultural attributes of the general staff: the hallmarks of the new German army were systematic, thorough analysis; a willingness to grapple with what was really happening on the battlefield; and a rigorous selection process that emphasized officers’ intellectual attainments—in a professional sense—as well as their performance in leadership positions. 1. The conduct of war is an art, depending upon free, creative activity, scientifically grounded. It makes the highest demands on individuals. 2. The conduct of war is based on continuous development. New means of warfare call forth ever changing employment. . . .
3. Situations in war are of unlimited variety. They change often and suddenly and are rarely discernible at an early point. Incalculable elements are often of great influence. The independent will of the enemy is pitted against ours. Frictions and mistakes are an every day occurrence. Fritsch and Beck would assume control of the German army soon after Hitler came to power, and held responsibility for devel-oping the qualities that made that army such a formidable fighting instrument in the coming war. The German army tested its doctrine and new technologies throughout the interwar period to ensure continued realistic assessments. After the invasion of Poland in 1939, the army continued its critical self-assessments, which later helped in its invasion of France. As S.J. Lewis observes, “The senior and mid-level officers who so critically observed the army’s performance were the product of a particular military culture.” Paramount was a military culture that actively incorporated the products of open discussion and honest self-reflection into new tactics and organizations, including the reorganization of motorized divisions. The German navy, however, proved in two world wars that there was nothing innately competent about German military organizations; as a result, one should hesitate before ascribing undue influence to national culture in how service cultures develop. There are few military organizations that possess a culture that encourages the study of even the recent past with any thoroughness. Most military organizations quickly develop myths that allow escape from unpleasant truths; such was the case with the French army in the immediate aftermath of World War I. And in some cases military cultures reject the past as having no relevance to the future of war. Military cultures that remain enmeshed in the day-to-day tasks of administration, that ignore history and serious study and allow themselves to believe that the enemy will possess no asymmetric responses are military organizations headed for defeat. What is India's military culture? How does it affect India's feeble effort on Transformation? It has always been maintained that there is nothing like total cyber security. 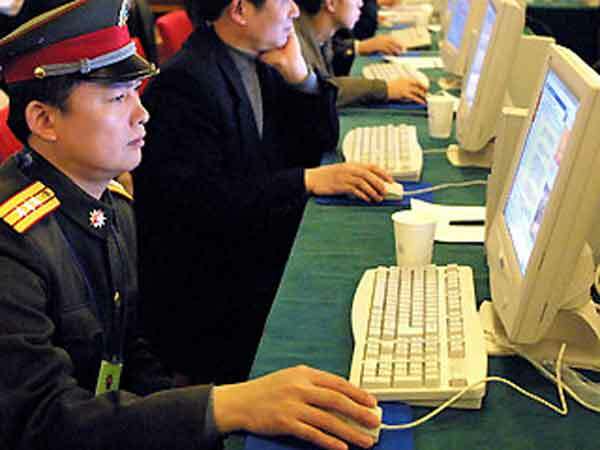 However, in August 2017 the Chinese satellite ‘Micius’ beamed “hack proof” messages to earth, that were received by two Chinese receiver stations atop mountains – one 645km and the other 1200 km away. The Quantum Experiments at Space Scales (QUESS) ‘Micius’ is the first quantum satellite in the world that China launched on August 15, 2017. How Would Reagan’s Defense Secretary View the New Afghanistan Strategy? If the U.S. is to fight extremism and instability in the Middle East, North Africa, and other key conflict countries in the developing world, it must address the civil dimension of war as well as the military one. "Hearts and minds" may seem to be a cliché, but battle for security and stability does involve religion, politics, governance, and economics as well as counterterrorism and counterinsurgency. Half of the war and half of a successful strategy must focus on the ability of "failed" government to win the trust and support of their peoples. Most of the foreign fighters that flooded into in Syria during the past few years came from the West, but some jihadists also arrived from the Far East, including as many as 300 of Western China’s Uighurs, the Sunni Muslim indigenous ethnic minority. Now that the Islamic State’s caliphate is collapsing, it seems inevitable that some will return to China, bringing with them more of the jihadist ideology and influence that has leaders in Beijing worried. The tennis-shoed soldiers emerged from the darkness on July 6, 1953, like a “moving carpet of yelling, howling men [with] whistles and bugles blowing, their officers screaming, driving their men” against the Americans as they swept up Hill 255, recalled Private Angelo Palermo. Commercial drones, such as the $1,500 Chinese-made DJI Phantom widely used by the Islamic State group, are providing nonstate actors with their own mini-air force, according to an expert in irregular warfare, who spoke on a panel Wednesday at the Modern Day Marine expo in Quantico, Virginia. 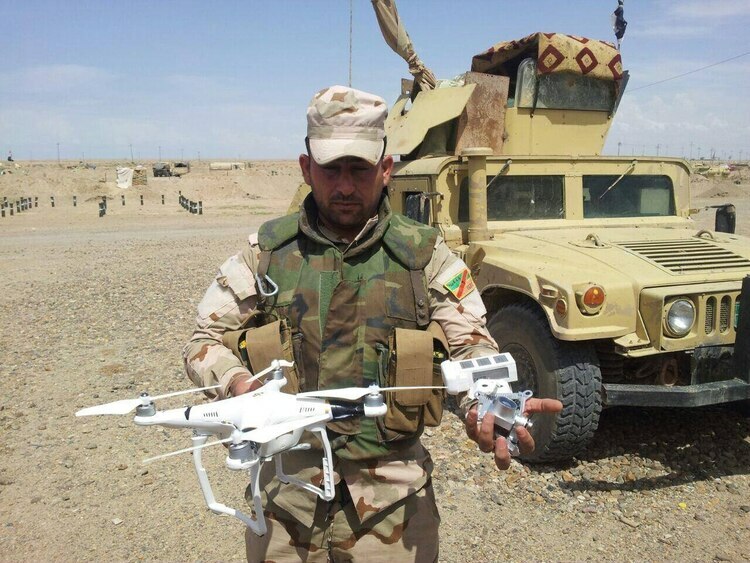 While many observers have awed over ISIS’ use of these platforms to drop munitions — a significant change in operations and a threat to U.S. and allied forces unseen in the last 16 years — the totality of the group’s use of drones should be taken into account, said David Knoll, a research analyst at the Center for Naval Analysis. Download the full report, For Caliph and Country, here. Can a cyber attack justify a military response? AS guaranteed by the UN Charter, a state always has the natural right to defend itself in case of an armed attack. Meaning, if the scale and consequences of the use of force against a state reaches the level of an armed attack, then the victim state may use force to defend itself. The global proliferation of cyber attacks on financial organisations has thrust the issue of cyber security – and its seemingly routine failings – into national conversation. The most recent major data breach on Equifax, the credit report company, highlights the problems facing organisations and their investors today. How to explain — and, if possible, predict — a great power’s foreign policy is a perennial question for scholars of international politics. Although a lot of scholarly writing in international relations focuses on the broader system of states (bipolar, multipolar, open, closed, norm-driven, ideologically divided, etc. ), we are also interested in why Country X tends to act in one way while Country Y acts differently.